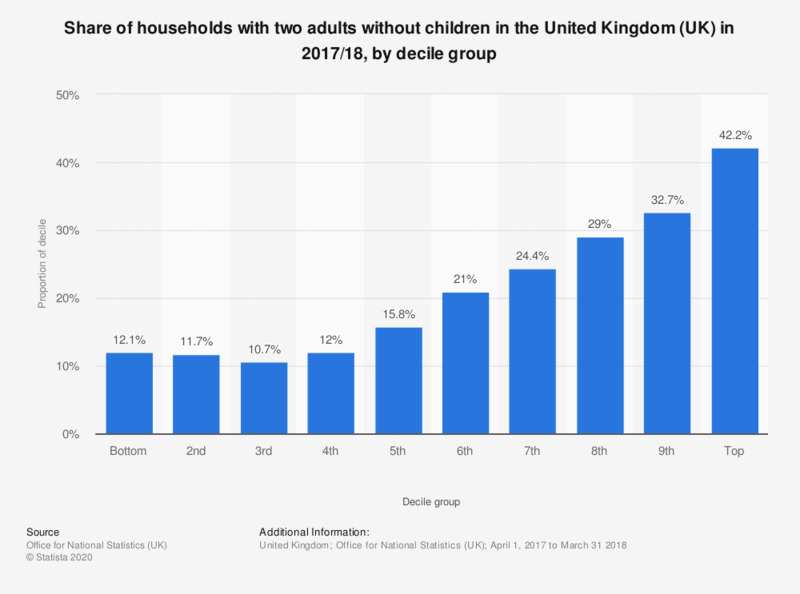 This statistic displays the share of households with two adults without children in the United Kingdom (UK) in 2017/18, by decile group. 42.2 percent of the households in the top decile had two adults without children living in them. This was the highest share among all the decile groups. With which meal time do you usually eat bread?